Holland America vs. Celebrity Cruises: which is the best choice when cruising in Australia? 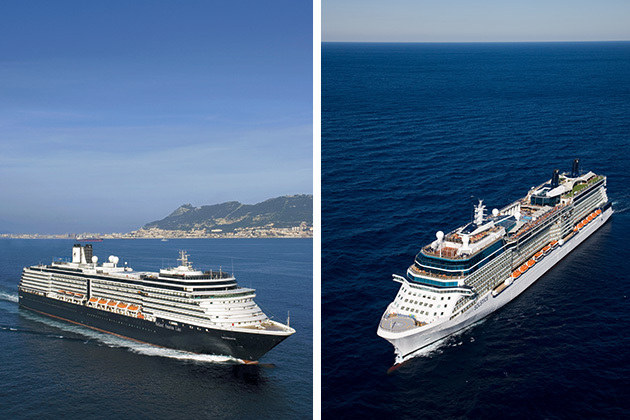 With just two years between them, Holland America's Noordam (launched in 2006) and Celebrity Cruises' Celebrity Solstice (launched in 2008) are reminiscent of sisters who share a friendly rivalry. The former is more traditional with an almost old-fashioned charm, while the latter favours stylish, shimmery dresses and hangs with a younger crowd. Like a white- gloved debutante making her first grand entrance, Noordam has come Down Under for her inaugural Australian season. So how does she compare with Solstice? Both ships are lovely in their own way, but like most potential suitors, you will likely favour one over the other. 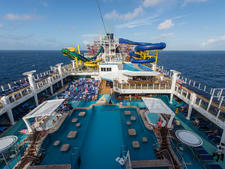 When it comes to destinations, nothing really separates these two ships. Noordam and Solstice offer Australian and New Zealand itineraries with an appealing mix of local and Pacific Island ports. Both ships voyage to Canada and Alaska in time for the warmer northern weather, before sailing back across the Pacific Ocean and returning to Australia. Itineraries can be joined together to cruise cross-continentally, something that is especially popular with the many retirees onboard Noordam. There is a significant difference in the overall size of these ships, with Noordam and Solstice coming in at 82,318 and 122,000 gross tonnage respectively. 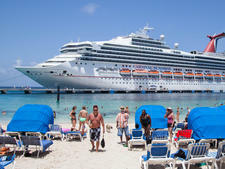 Solstice carries 2,850 passengers, 30 per cent more than the Noordam. 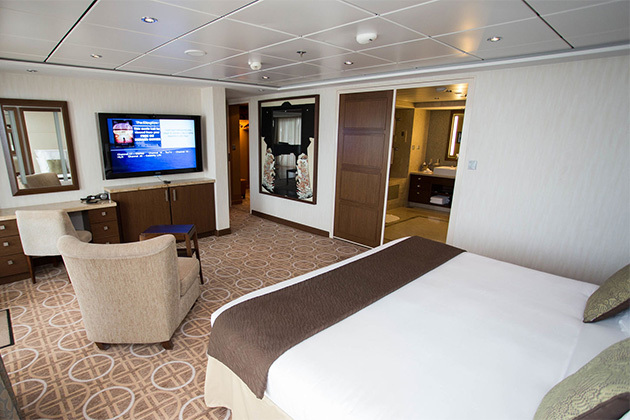 When it comes to staterooms, natural light is a feature with both ships devoting around 85 per cent of their accommodation options to balcony (veranda) or outside cabins. With a large number of balcony cabins it's easy to step outside and enjoy the sea breeze on Noordam and Solstice, although there is a substantial size difference between these rooms on both ships. 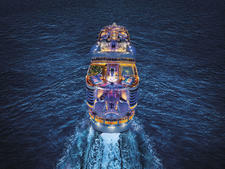 Noordam's balcony cabins have an average size of 158 to 305 square feet plus a 54-square-foot balcony. Solstice balcony cabins are significantly larger, ranging from 194 to 575 square feet, plus a balcony of between 54 to 105 square feet, depending on the category. The difference in floor space between the smallest balcony rooms on both ships is noticeable, particularly when it comes to walking past the end of the bed. Both ships offer a choice of inside, outside, balcony and suites, however Solstice wins hands down when it comes to variety and amenities, with a more impressive array of specialty cabins, the majority of which come with extra perks. On Solstice you will find AquaClass cabins, which are prime balcony cabins with additional spa-themed benefits, including access to the ship's plush spa relaxation area, Persian Gardens and Blu, a dedicated 'spa cuisine' restaurant. Suites include extras such as personal butler service, in-suite breakfast, lunch and dinner and exclusive use of Celebrity's new suite-only restaurant, Luminae. Solstice passengers staying in Celebrity, Penthouse and Royal suites also receive a free in-room minibar and exclusive use of Michael's Club, a private lounge serving complimentary continental breakfast, light lunch, snacks and drinks (including free alcoholic beverages from 5.30pm to 8pm). 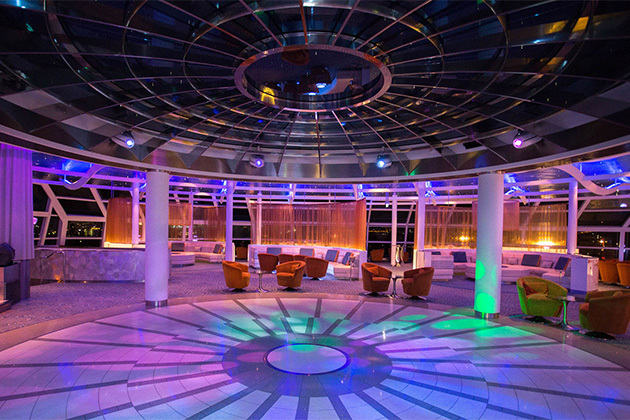 Michael's Club also has a concierge to assist suite guests and often holds events such as cocktail parties with the ships' officers and live music. Suite inclusions on Noordam are more limited and low-key with benefits such as an in-room espresso machine and optional high tea and access to the Neptune Lounge, which includes snacks, tea and coffee throughout the day. Both ships offer impressive entertainment and enrichment programs that spotlight food, wine and 'edutainment'. 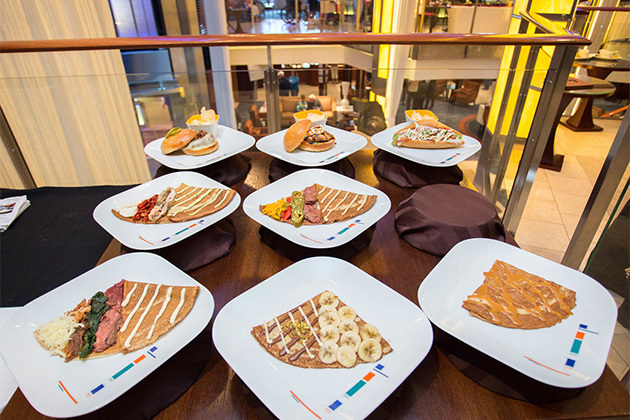 Noordam has a Culinary Arts Centre featuring cooking demonstrations and a focus on traditional cruise ship fun with activities such as towel animal folding classes, social card games and bingo featuring in the daily 'On Location' newsletter. 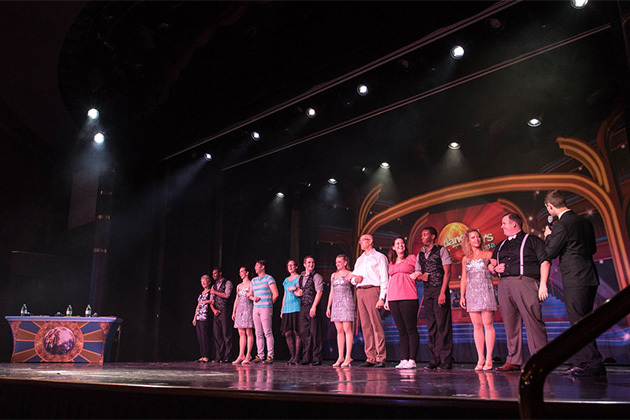 There is also a 'Dancing with the Stars at Sea' program where passengers are paired with a professional dancer and have the chance to be crowned the 'Dancing with the Stars at Sea' cruise champion. The impressive B.B. King Blues Club offers passengers another chance to 'shake their tail feather' at three excellent shows each night. In addition to the usual cruise ship activities, such as team trivia and bingo, Solstice offers a Beyond the Podium talk series in the main theatre on sea days with topics that can include anything from history and astronomy to Maori culture depending on the guest speaker. Culinary-oriented options include Top Chef at Sea cooking demonstrations and wine tastings, galley tours and cooking and cocktail-making demos in the atrium. There is also a Lawn Club on the top deck, a park-like space with real grass, and the unique 'Hot Glass Show' where passengers can watch a master craftsman (or woman) from the Corning Museum of Glass practicing his or her art, with a second artist providing commentary. 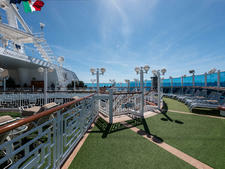 Both ships offer onboard computer classes with Holland America favouring Windows and Celebrity partnering with Apple. Specialty acts join the ships at different ports along the way with many performers strutting their stuff on both Solstice and Noordam. Production shows are also a feature on both ships, although the dynamic LED screens that make the major show backdrops look three dimensional give Noordam an edge in the main theatre. Dining arrangements are similar on both ships, with a choice of two traditional sittings or 'As You Wish'/'Celebrity Select Dining', which allows guests to dine anytime and anywhere they wish. Both ships have a casino and spas with heated thermal beds and other relaxing features (although most of these attract an added fee to use them). Like many of the ships in the Holland America fleet, Noordam has an old-world style that attracts a loyal -- and significantly older -- clientele, while Solstice's cool sophistication and friendly yet polished service epitomises the concept of 'modern luxury'. Solstice has already proved to be a big hit with cruisers who appreciate the finer things in life. With a similar price point but fewer bells and whistles, particularly when it comes to accommodation, Noordam will likely have to offer some good deals to entice Australian cruisers. However, traditional cruisers who appreciate old-style elegance and those who are more mature will likely appreciate Noordam's many charms.